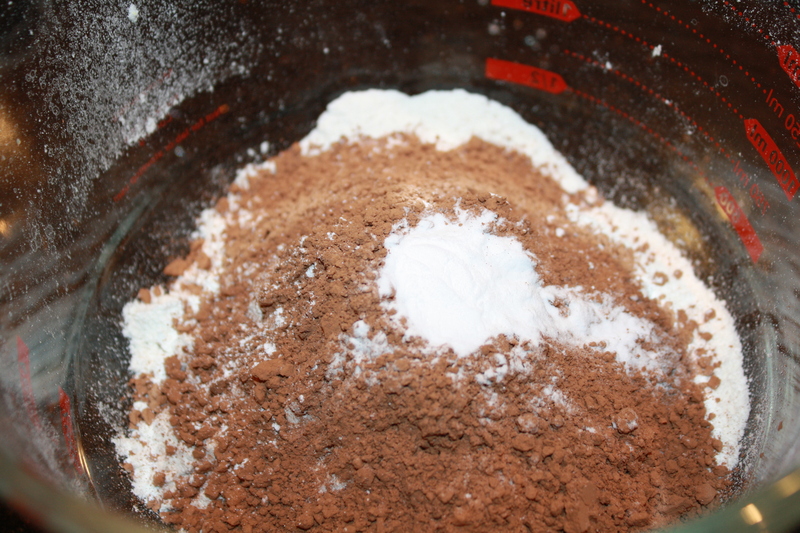 and baking soda; gradually add to creamed mixture and mix well. Bake at 375° for 6-8 minutes or until set. Remove to wire racks. 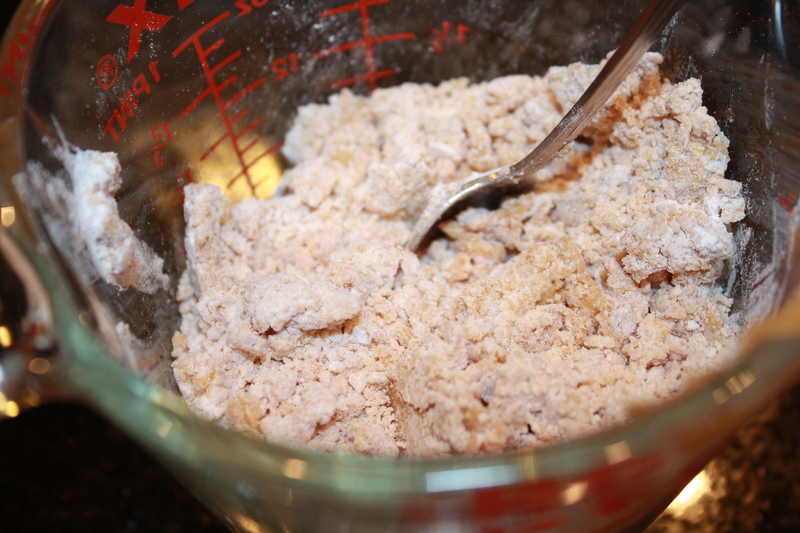 Dust with additional confectioners’ sugar. Yield: 2-1/2 dozen. 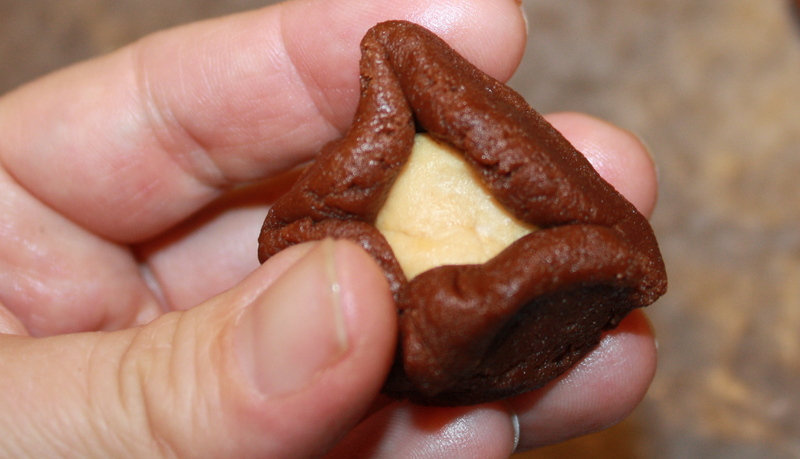 First I made the outer part of the cookie. 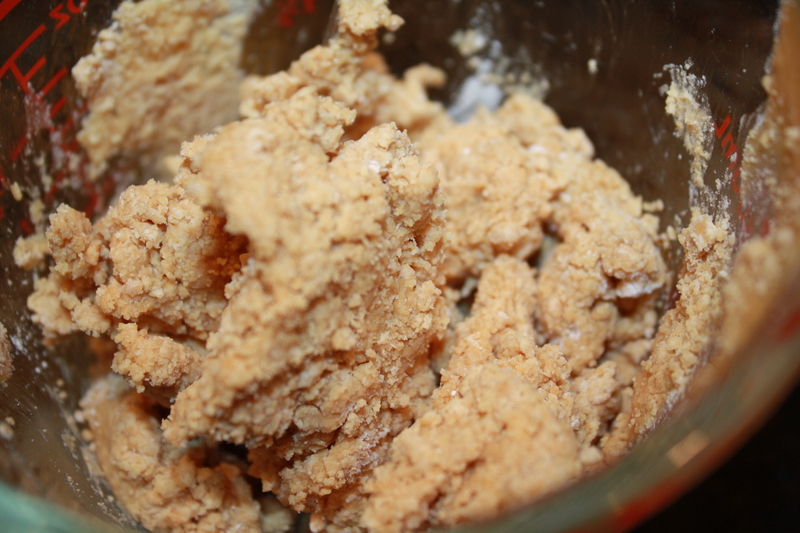 Before adding everything else, I beat the butter on its own for a minute or two to make it nice and fluffy. 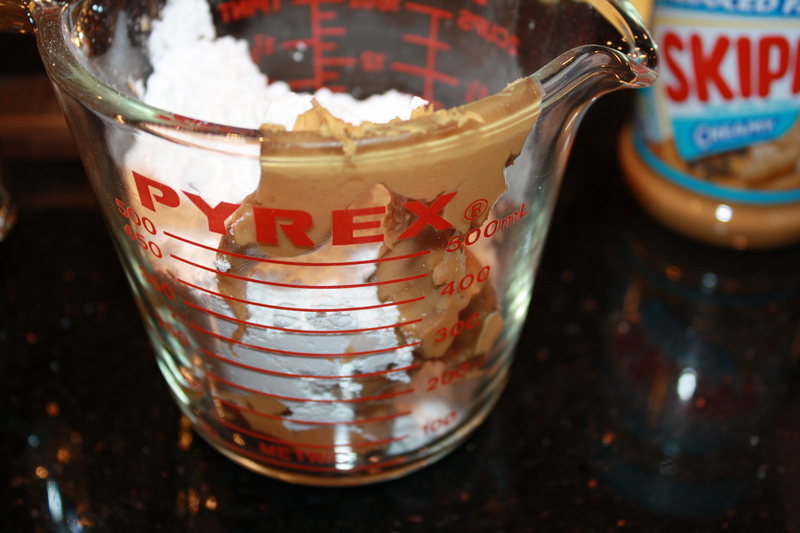 Then I added the peanut butter and sugars, and then the rest of the ingredients as directed. 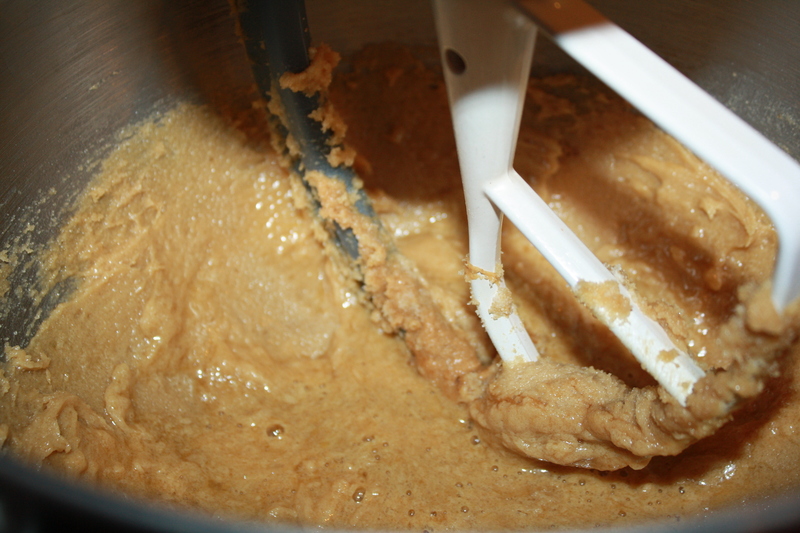 The butter was mixed with the peanut butter, then sugar and brown sugar were incorporated. Next, one egg and vanilla extract were added. 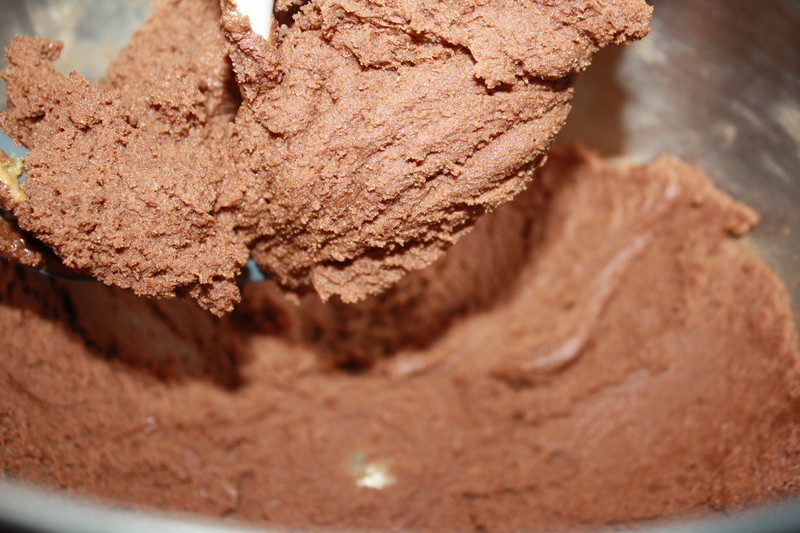 The cocoa powder, flour and other dry ingredients were mixed in a separate bowl. 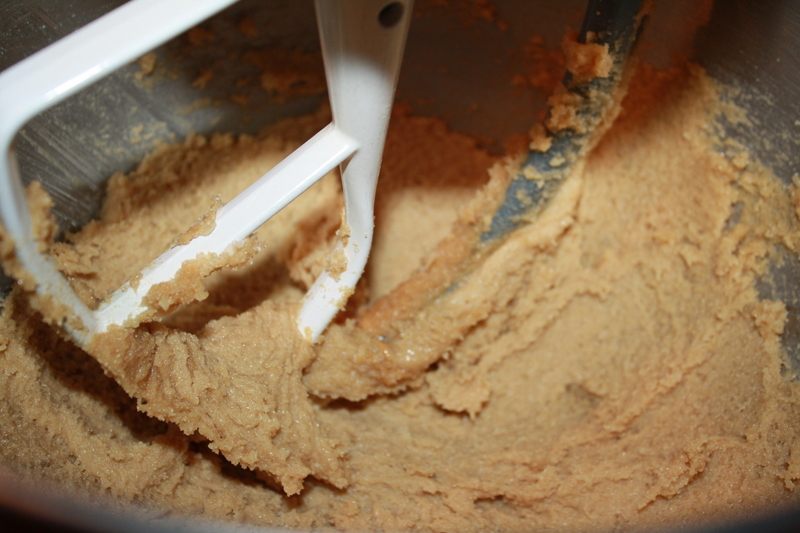 Then they were added to the wet ingredients to make the outer batter for the cookie. In a separate bowl, I combined more peanut butter with confectioners sugar, but I really didn’t like the texture of the filling. It was very dry and crumbly. So, in order to make it a little more moist, I added one teaspoon of corn syrup, and two tablespoons of melted butter. Which was much better. 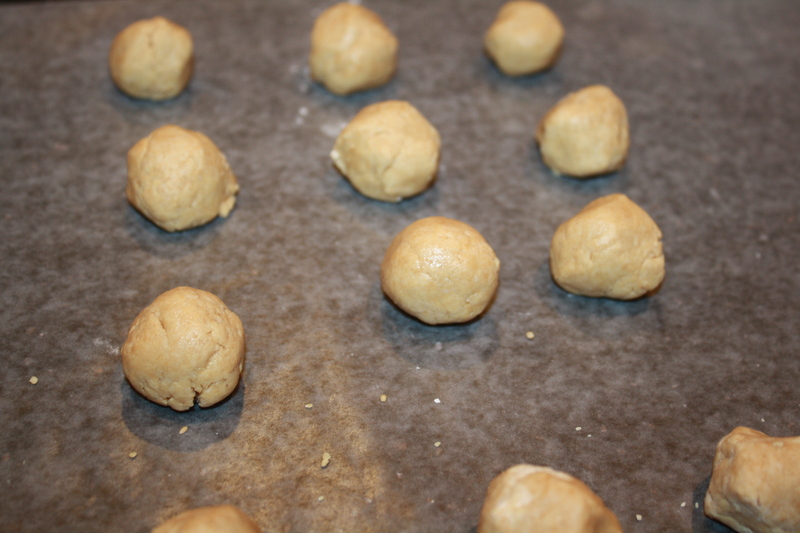 Then I formed a number of small peanut butter balls that were about the size of one measuring teaspoon. 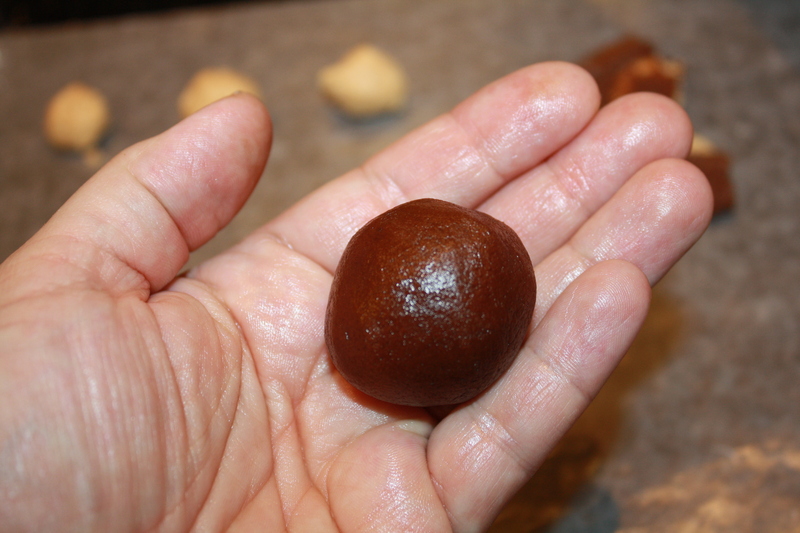 These were wrapped inside of a tablespoon of the cocoa dough. 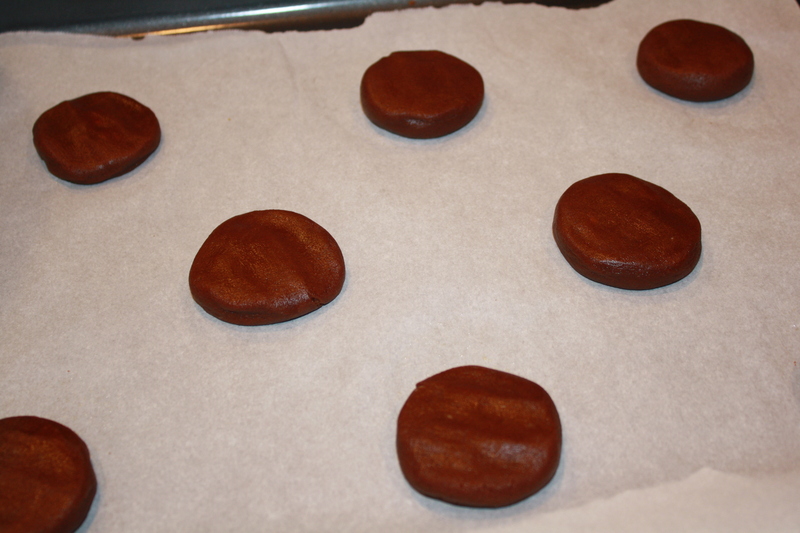 Then I placed them on a cookie sheet lined with parchment paper. 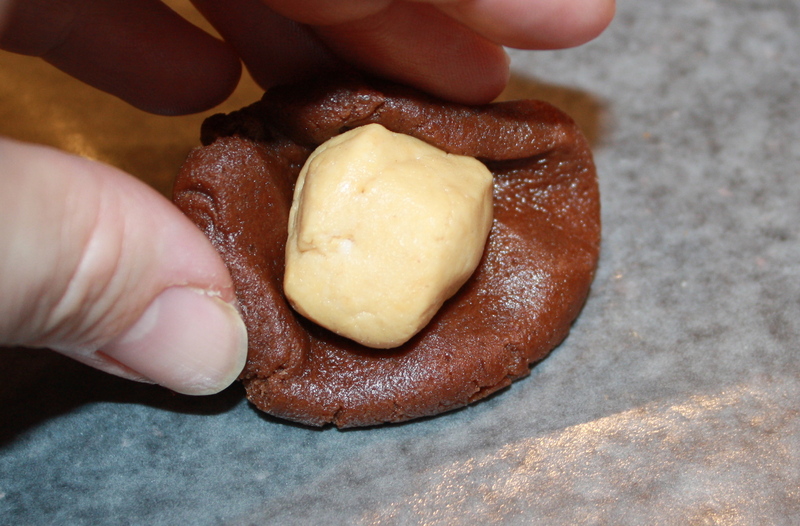 The directions say to flatten the cookies at this point with the bottom of a glass, but I found that using my hands worked better, because you have to kind of feel for that peanut butter center. 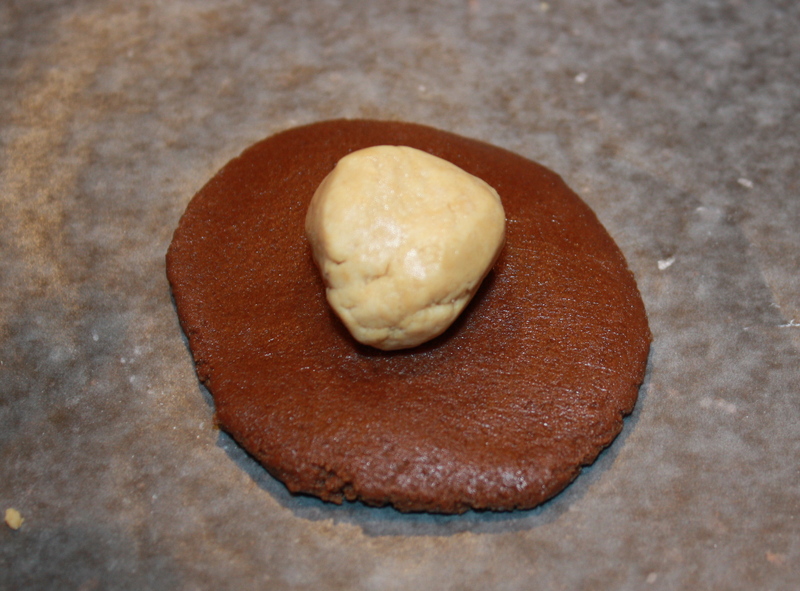 If you flatten the cookie without leaving enough dough on top, the peanut butter will show through after they are baked. 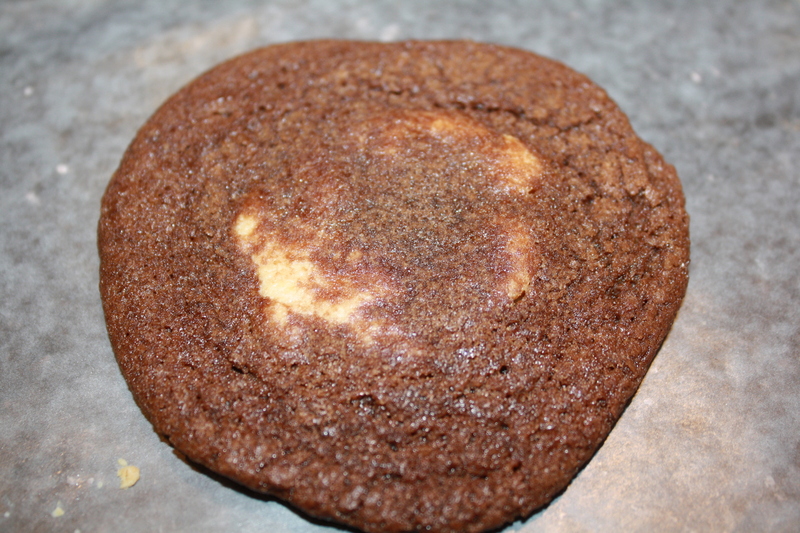 The cookies then baked at 350 degrees for eight minutes. 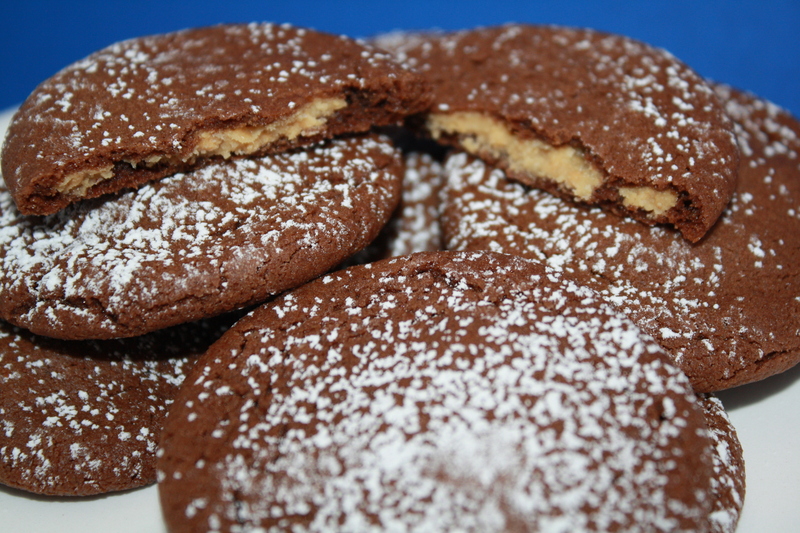 After they had cooled, I dusted them with powdered sugar. I don’t know how Taste of Home did those fancy designs on their cookies. 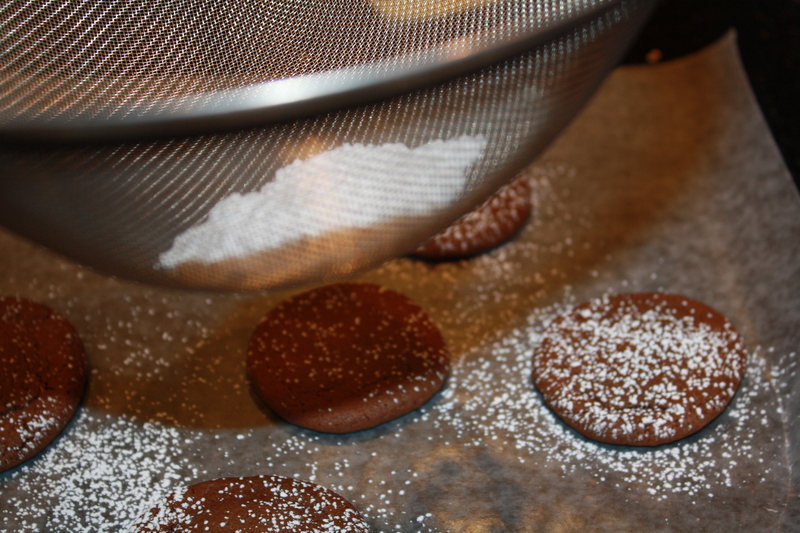 I tried piping it on with an icing bottle, but that didn’t work, so I just went with the old-school sieve. They were really tasty. 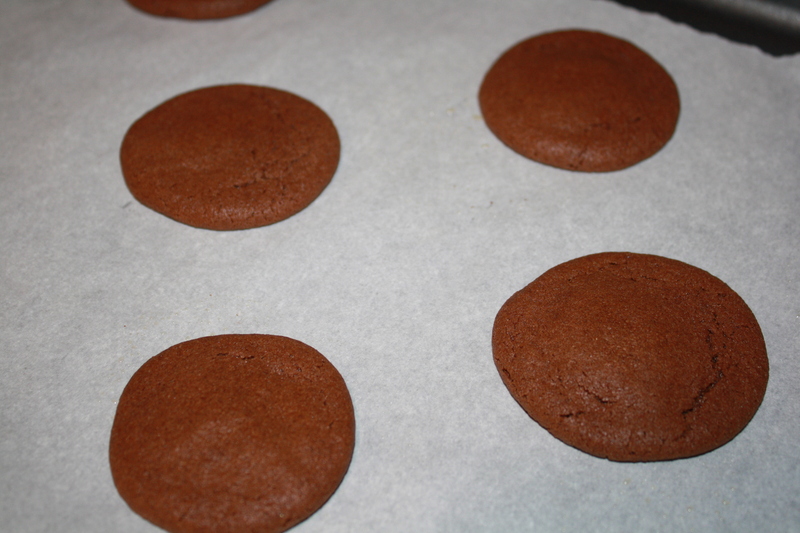 They aren’t super soft, in fact they have almost a chewy ginger-snap kind of texture, especially the next day. 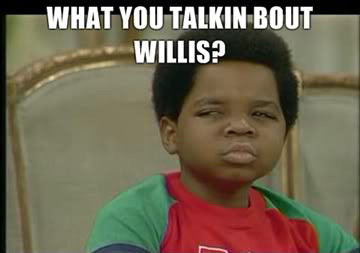 I can’t say what they are like on the second or third day though, because they were gone by then!